After a quiet period over Christmas, reality came back into focus in January and the pound was once again tied to the fate of Brexit and under pressure due to the ongoing debate and challenges to the exit deal in Parliament. All eyes have been on the House of Commons this month; early in the month two amendments were passed to restrict Government spending on a no-deal Brexit and the other requiring a ‘Plan B’ within three days if, as eventually happened, the House rejected the proposed deal. Both of those militate against a "hard" Brexit and are therefore theoretically positive for the pound; they also increase - and perhaps extend - the uncertainty. Investors were not totally convinced and they marked down the pound on most fronts. One of the few gains for the pound this month came after a report in the Evening Standard suggested that there would be a necessary delay to the Brexit process; it strengthened by an average of 2.4% against the other major currencies. Parliament, it appears, didn’t agree this was a positive outcome and towards the end of the month voted against an amendment aimed at extending the departure date to 31st December to allow for more time to reach an acceptable Brexit deal. After the proposed deal failed, MPs had an opportunity to put forward amendments; seven were tabled for the vote and only two passed. The Spelman/Dromey amendment passed with a majority of just eight, but it’s an important one for the UK and the pound, as it rejects the UK leaving the EU without a deal. The Brady amendment, which passed with a majority of 16, supports the existing Brexit deal if alternative arrangements are found to replace the controversial Northern Ireland backstop. Theresa May now has the unenviable task of going back to the EU to ask for changes to a deal that the EU say cannot be changed and if she can get that agreed, must return to parliament to get that new, supposedly improved, Brexit deal through while the clock continues to tick and 29th March gets ever closer. Currency markets aren’t just impacted by geopolitical events. Often economic indicators such as interest rates, inflation figures and stats such as Christmas retail sales figures will change the value of a country’s currency. For example, the UK’s January purchasing managers' index for manufacturing came in at 54.2; the number was higher on the month, above forecast and better than any of the numbers from Europe. Yet investors kept their focus on Brexit and this good news failed to move the pound. Not all the numbers were as positive; retail sales fell 0.9% in December as a result of online purchases in November. But unemployment fell to a new 50-year low at 4% and wages were up by 3.4% on the year, which is ahead of the 2.1% CPI rate of inflation. While it didn’t seem to matter much to investors in January, these numbers are likely to come back into focus once the ink has dried on the Brexit deal. What lies ahead for the pound? For now, all eyes are on the ongoing Brexit saga. The uncertainty is likely to be bad news for the pound. Investors will be hoping for a firmer footing for sterling in the months moving forward. Theresa May is working on trying to achieve a deal that is acceptable to enough MPs to pass through the Commons. 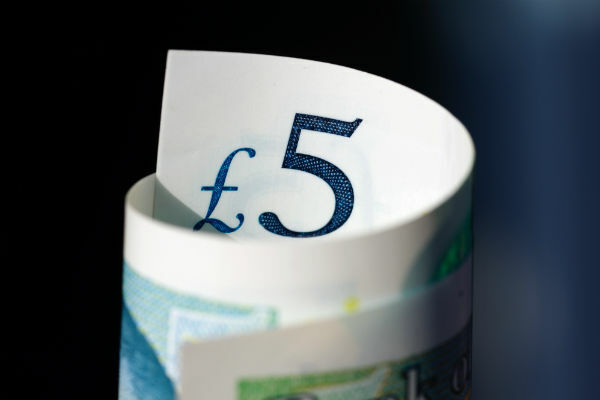 There are reports that businesses are growing increasingly concerned and accelerating their ‘no-deal’ scenario planning and investors’ nerves over the outcome mean that sterling may remain volatile and vulnerable to rumours and debate over the Brexit deal. For the last 39 years, moneycorp have been helping their clients save time and money by offering competitive exchange rates and currency expertise to guide their clients to make informed decisions. Used for nearly 7 million customer transactions last year, their friendly team can help over the phone or online 24 hours a day, 7 days a week. If you have an upcoming international money transfer to make, or you would like to hear more about how current events may impact the value of the pound then please visit their website.